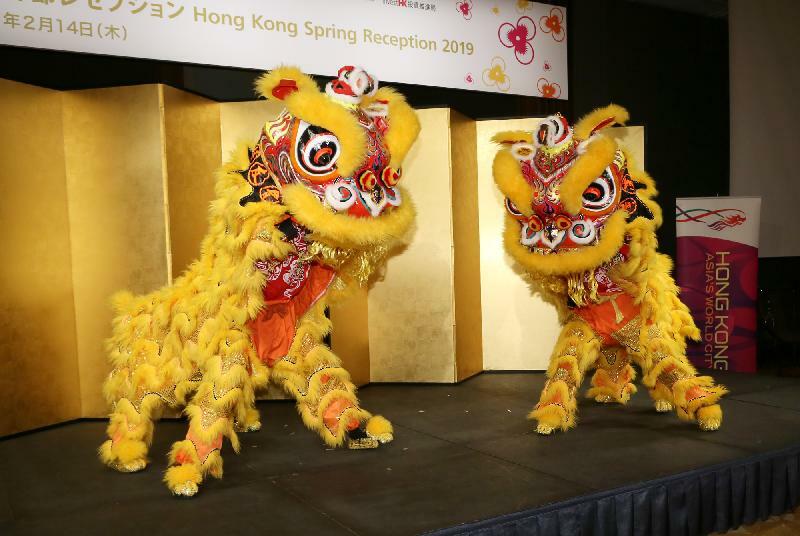 Some 450 guests attended a spring reception in Tokyo, Japan, today (February 14) organised by the Hong Kong Economic and Trade Office (Tokyo) to celebrate the Year of the Pig. Speaking to guests from various sectors including the Japanese political and business circles, academia, the media and community groups, the Principal Hong Kong Economic and Trade Representative (Tokyo), Ms Shirley Yung, pointed out that Hong Kong and Japan have been enjoying close relationships on many fronts. "Japan is our fourth largest trading partner and Hong Kong is Japan's eighth largest. Hong Kong and Japan are each other's fourth largest source market of tourists, with 2.2 million Hong Kong visitors coming to Japan last year. About 1,400 Japanese companies have set up businesses in Hong Kong, forming the largest group of overseas companies," she said. 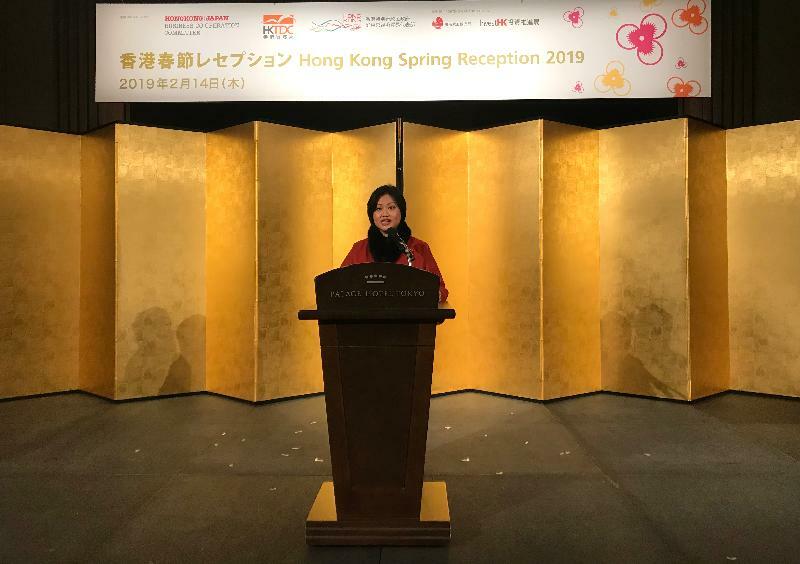 Ms Yung added that 2019 has been designated as Hong Kong - Japan Tourism Year, and encouraged Japanese people to take this special opportunity to visit Hong Kong. "Over the past few years, we saw increasing connectivity between Japan and Hong Kong. 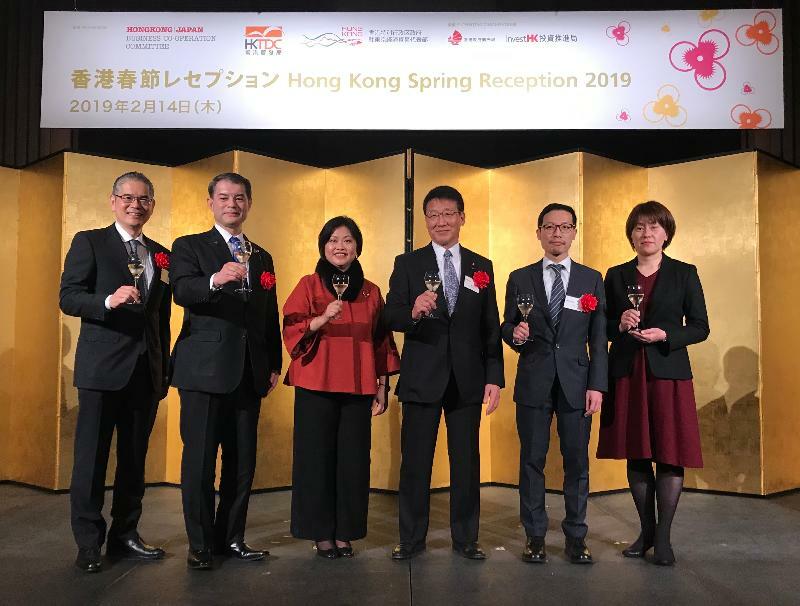 There are now over 450 direct flights every week connecting Hong Kong with 16 destinations in Japan," she added. 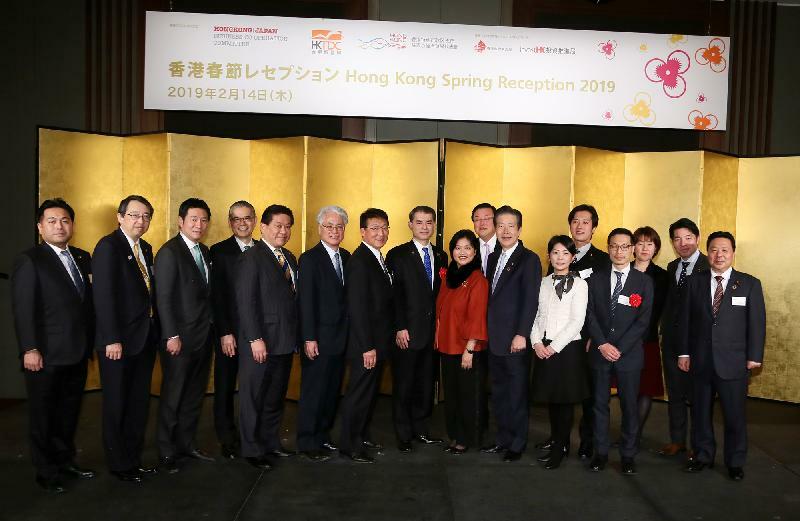 The spring reception was jointly organised by the Hong Kong Economic and Trade Office (Tokyo) and the Hong Kong Trade Development Council. 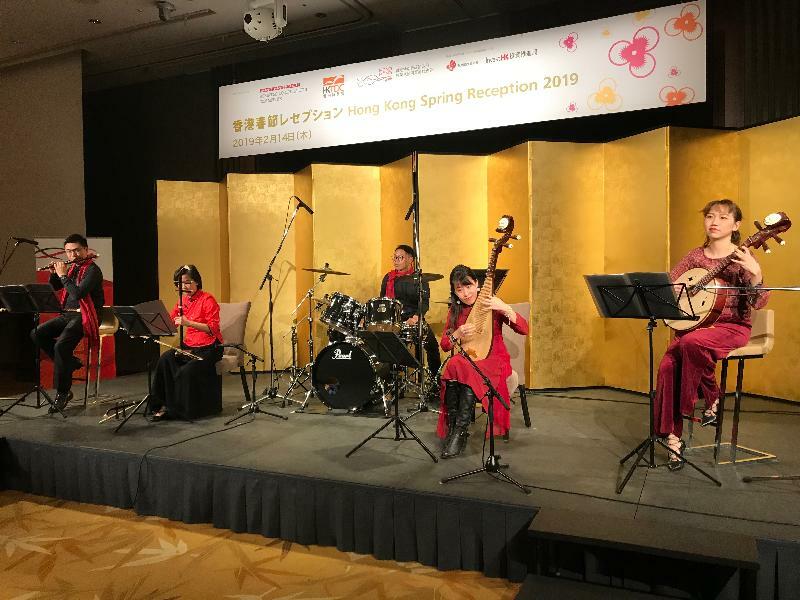 To promote Hong Kong's arts and music talent, Hong Kong music group Windpipe Chinese Music Ensemble was invited to perform at the reception.